Invite the Moose to surprise your guests and pose for photos. 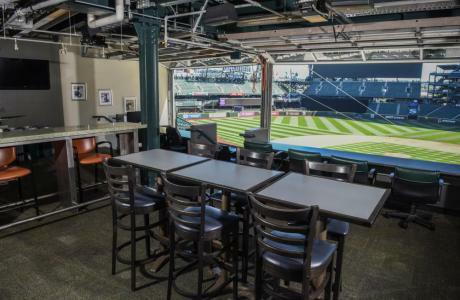 Turn your next event into a home run at T-Mobile Park. 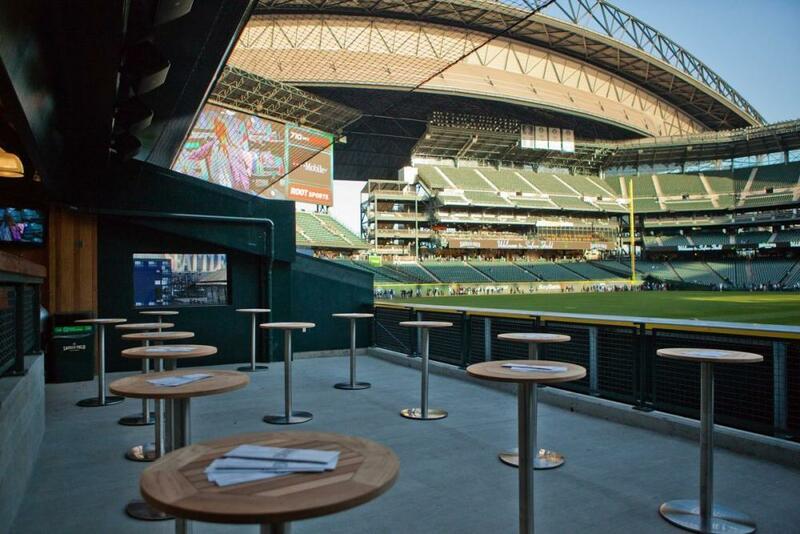 T-Mobile Park offers flexible and functional spaces that can accommodate groups of all sizes. 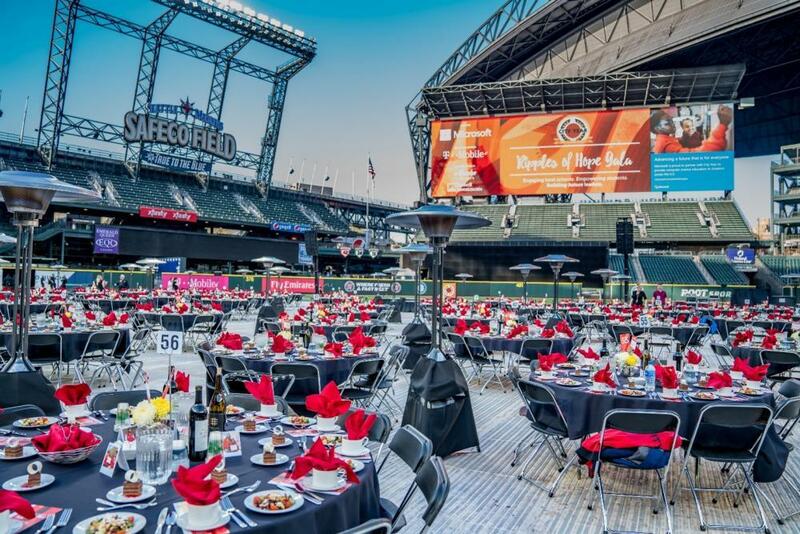 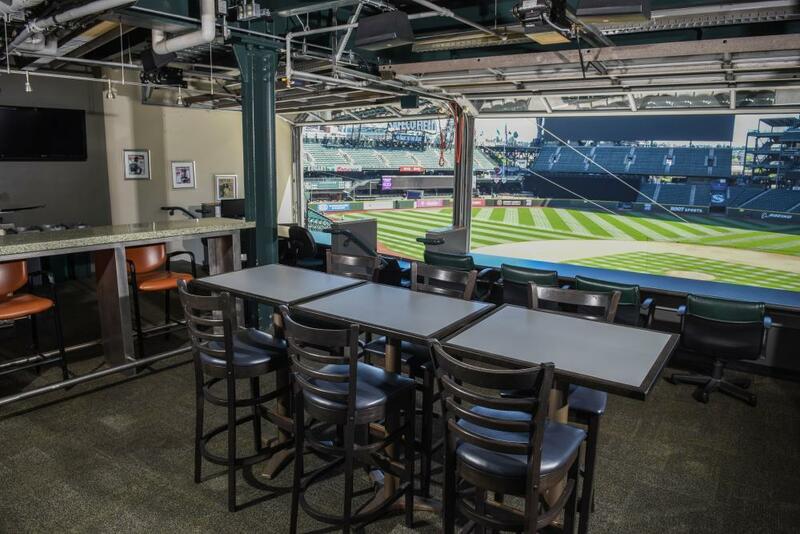 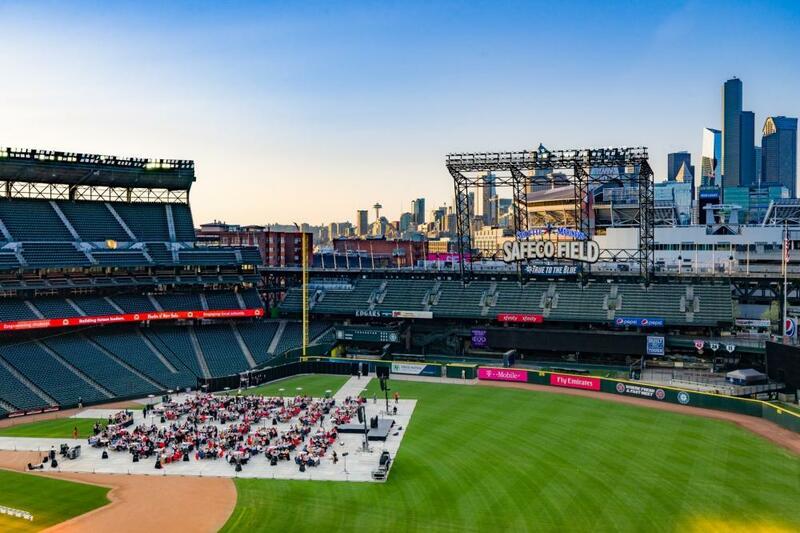 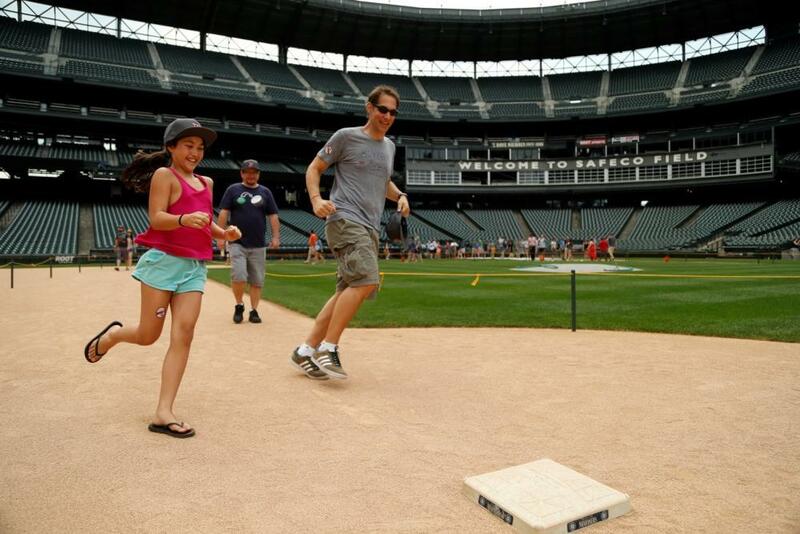 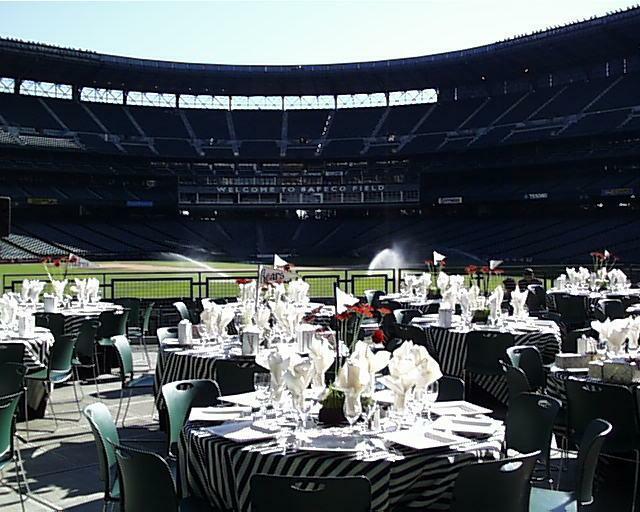 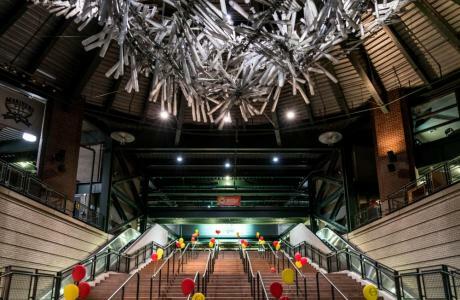 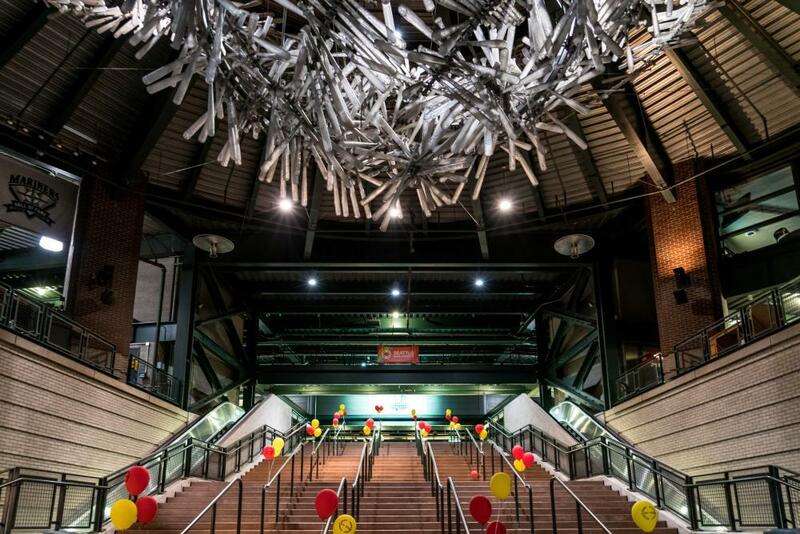 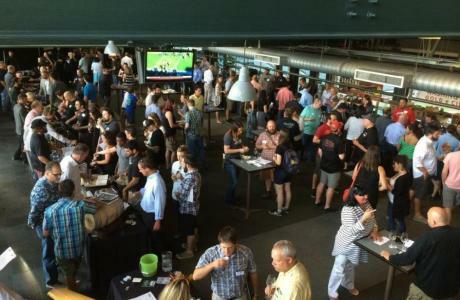 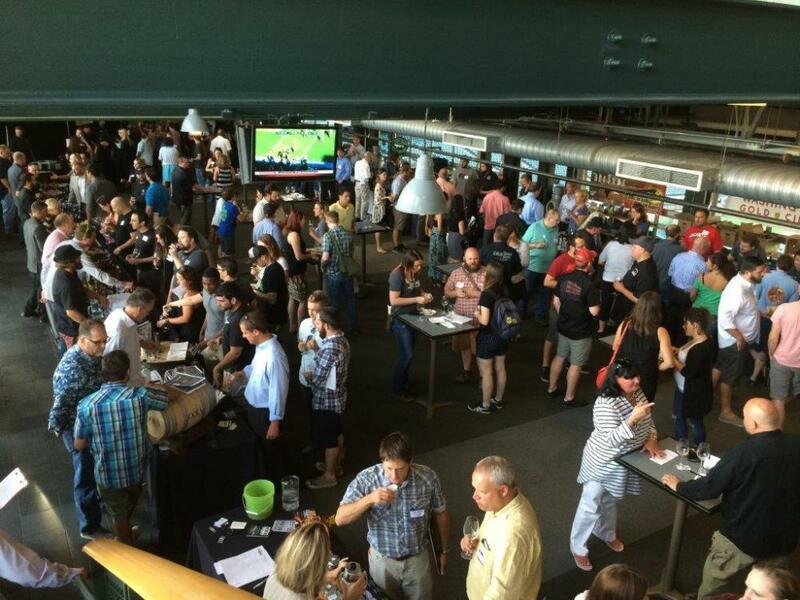 From formal dinners to company picnics, T-Mobile Park is the venue for a wide range of events. 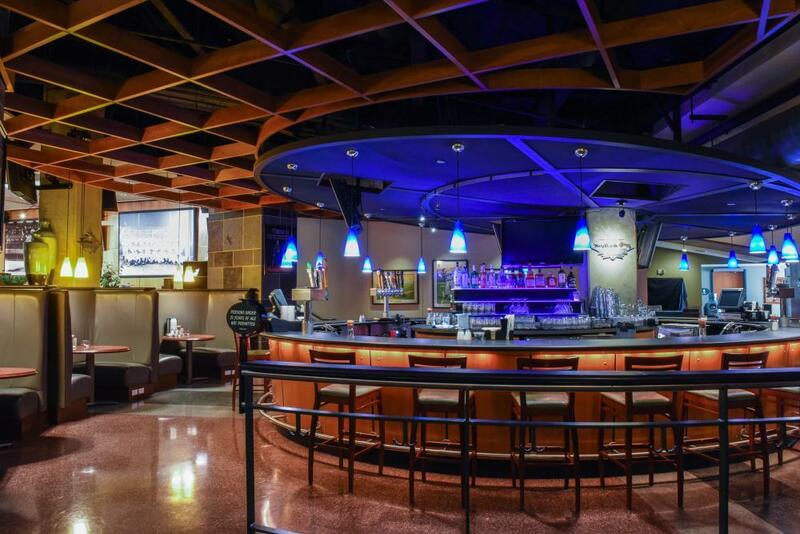 Our culinary team sources fresh and local ingredients that embody the flavors of the Pacific Northwest. 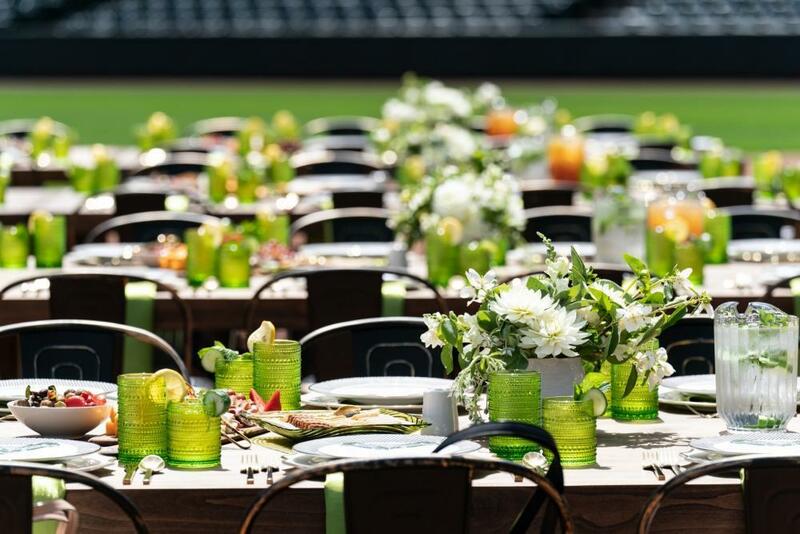 An event isn't just about the venue and the food; it's about the experiences you have while you're there. 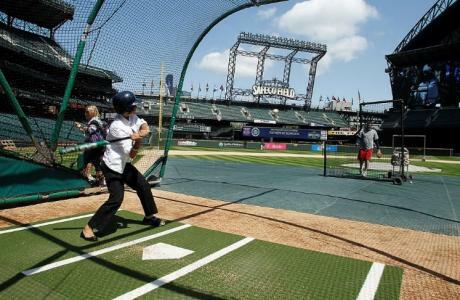 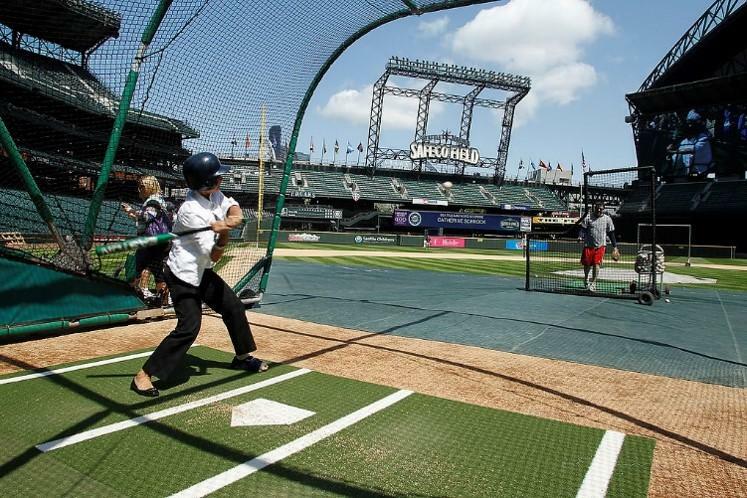 At the ballpark, we provide once-in-a-lifetime experiences such as batting practice, home run challenge, speed pitch, batting cages, walk the bases and other team-building style of events. 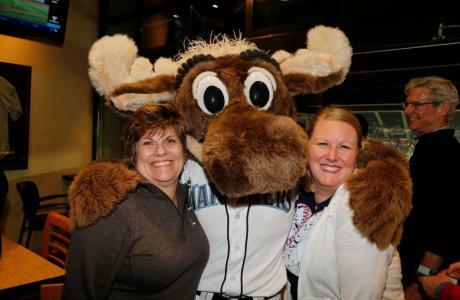 Guest appearances by the Mariner Moose or past players are a fun photo opportunity. 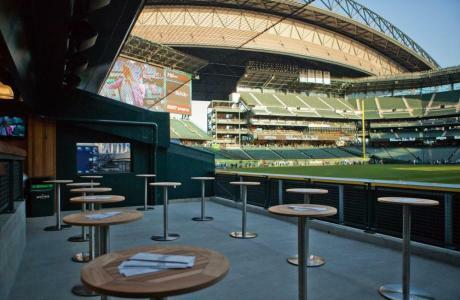 For the adventurous attendees, incorporate a rock wall, zip line or laser tag. It doesn't stop there -- give your guests memorabilia to take home through discounted merchandise that can be co-branded for your event. 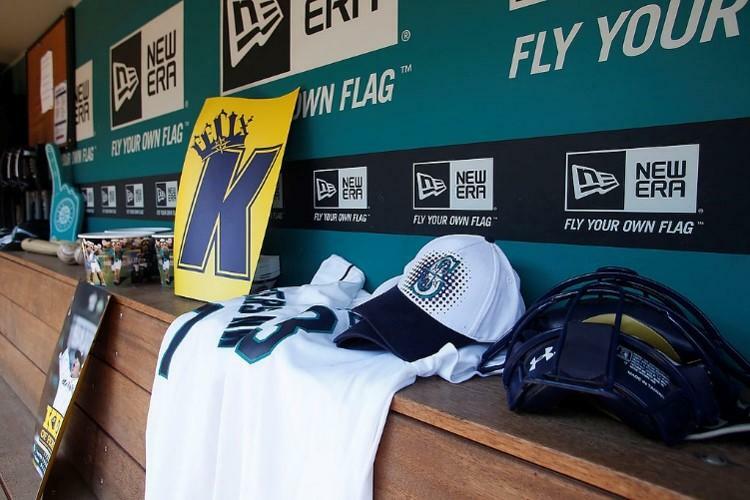 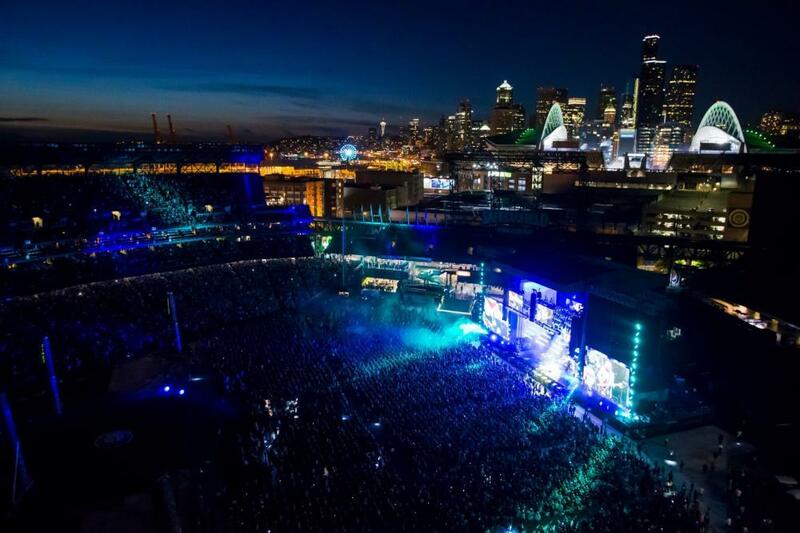 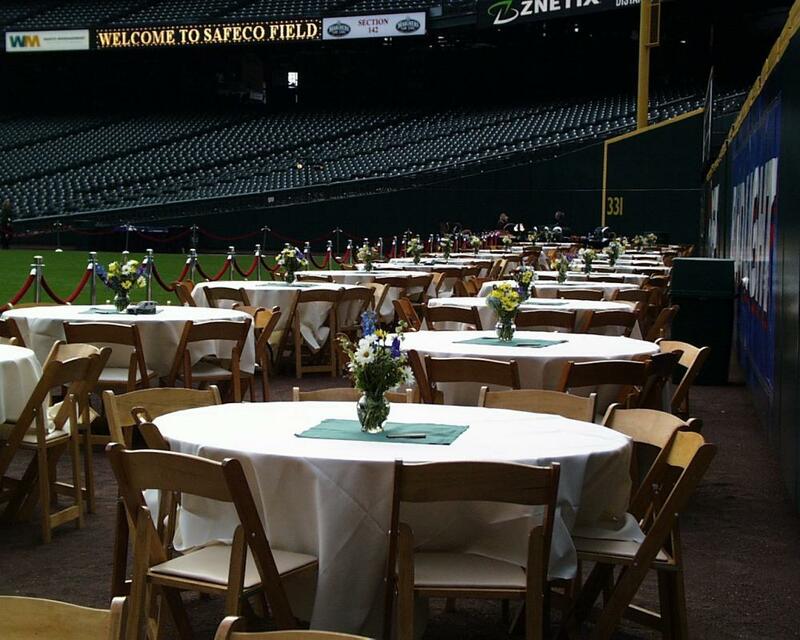 Centerplate understands what matters most -- to the event guests, to the Mariners fans and to the community of Seattle. The culinary team sources fresh and local ingredients that embody the flavors of the Pacific Northwest. 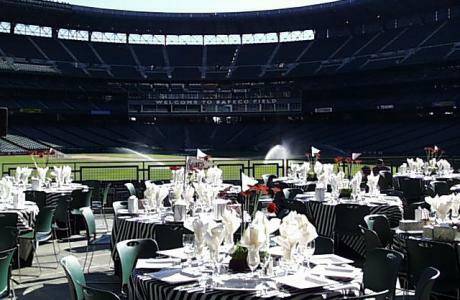 As the exclusive caterer at Safeco Field, Centerplate can produce a wide range of menu selections. If your event is a high-end appreciation lunch or fundraising dinner, we can produce a distinct and memorable formal dining experience. 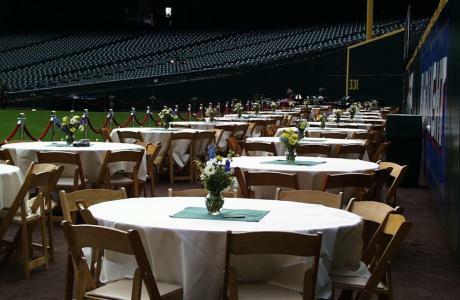 If your event is a casual company picnic, we can embrace the ballpark theme and offer traditional fare with a twist.